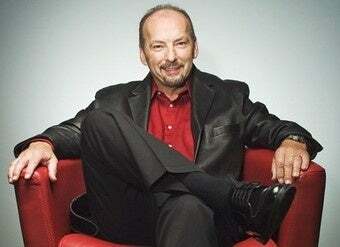 Peter Moore: Boxing is "the Past"
Electronic Arts has long been rumored to have eyes for a mixed martial arts title. IGN got to the EA Sports chief at a launch event and asked, obliquely, if that was so. Mixed Martial Arts Title, New Shooter In Works At EA? Phrasing the question as "which sport he'd like to see EA Sports tackle next," Moore said that, while they're "incredibly excited" about Fight Night, boxing is fading into the distance. "Boxing, for me, sadly feels like it's the past of fighting and Mixed Martial Arts feels like it's the future of fighting. So when we look at where people's attention is going, that's something we keep a very close eye on." THQ has the license for an Ultimate Fighting Championship game until 2011, but there are, conceivably, ways to go ahead with an MMA title without UFC branding, just like there are football games out there without NFL licensing. Whatever the case, Moore's comments were pretty direct that mixed martial arts will be part of his division's next big leap.